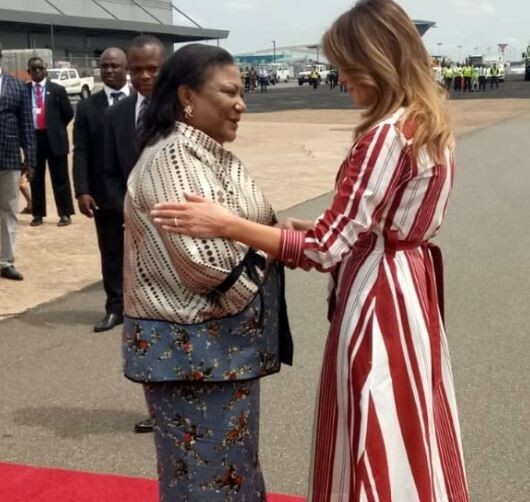 Mrs Trump who is on a two-day working visit to Ghana was met at the Kotoka International Airport by Ghana’s First Lady, Rebecca Akufo-Addo. 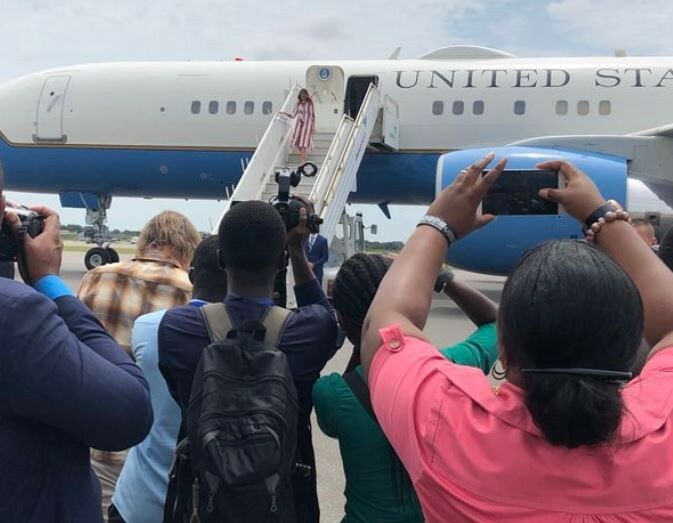 During her stay in Ghana, she will visit the Children’s Unit of Greater Accra Regional Hospital and the Cape Coast Castle. 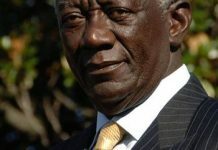 Next articleFormer President John Mahama has revealed how he will improve the ‘Free SHS’ as currently being implemented by the Akufo-Addo government if wins power in the 2020 elections.